I picked these up on the Mumbai local train on my way back from work. For Rs 10 each. Though I would have loved a peach or a pink, this was the best I could find. I never thought I would wear them but I actually did! Wore the blue on Saturday and the red on Sunday. Absolutely! I have stuff from the Mumbai local trains that I’ve picked up 15 years back and still use sometimes….you still get the best stuff on the Delhi and Mumbai streets! The red ones are so glossy Avina and I can’t believe the price yet. I had been eyeing a rose ring for soo so long. Had once seen a very pretty one at accessorize but I thought may be next time and that next time never came. 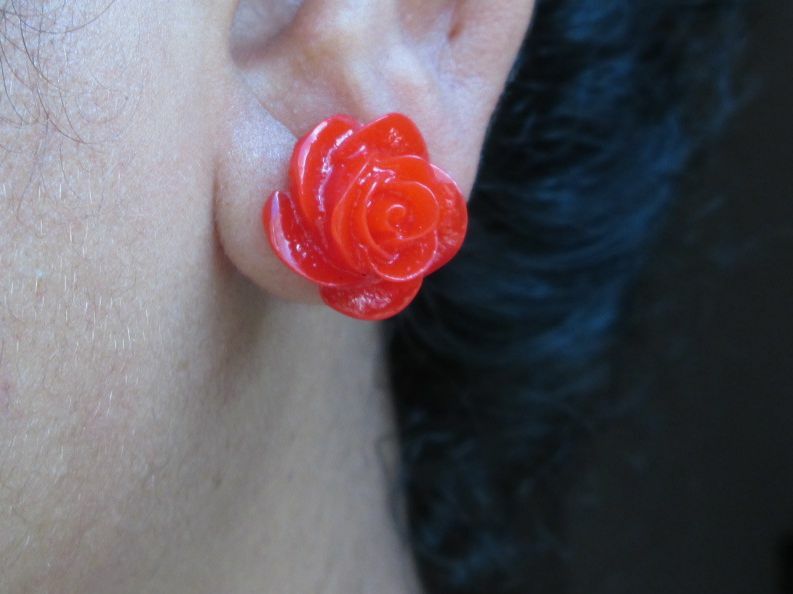 I have a Zaveri pearls set in red roses and these studs start from INR 150 for most brands. U got them at 10 bucks! Wow. Oh I see! I don’t have the individual studs from Zaveri pearls. 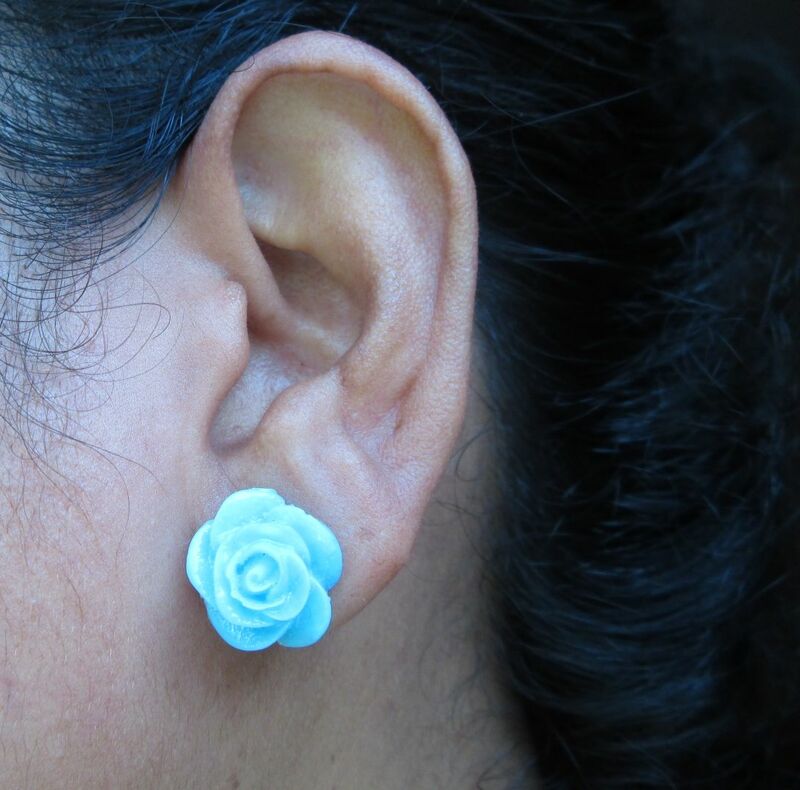 I had bought a very pretty rose jewelry set (1+1 free another set in the same price range or less), they always had that offer at the mall I used to go to in Rajouri in Delhi.